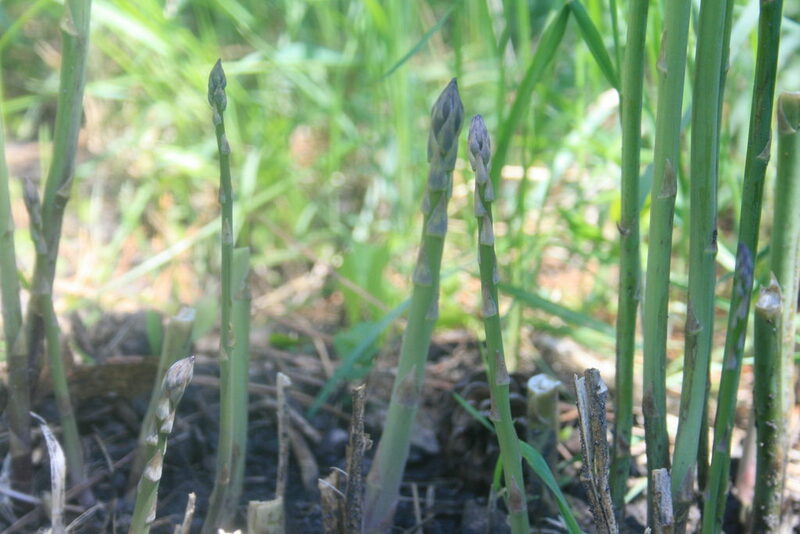 One of the first things I planted in our budding homestead was asparagus, and it will be one of the very first things I plant when we move someday. In the midst of working so hard to get the garden started for the year, an asparagus spear breaks the soil surface! Every year it surprises me. With little effort on my part, shoots keep reaching for the sun and we have a hard time keeping up with the harvest! This first garden harvest is incredibly satisfying as we continue gingerly nursing our lettuce, watering invisible seeds and hoping that the broccoli the chicken got will continue to grow. 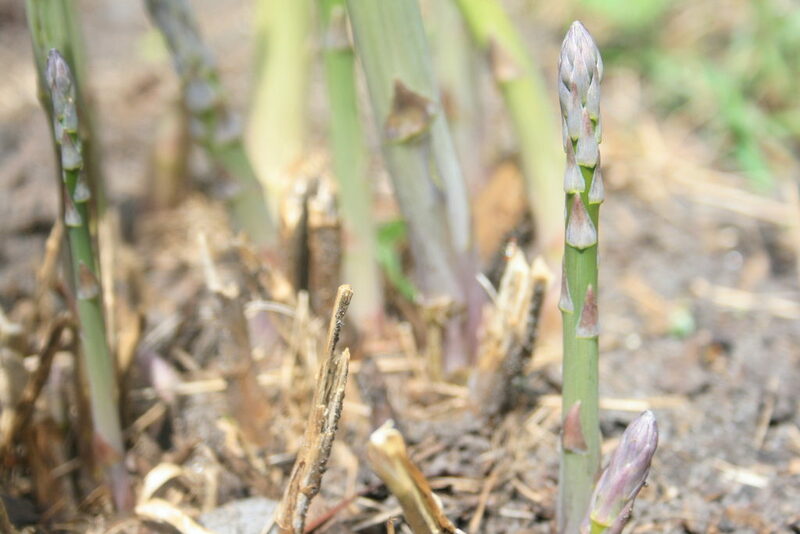 You still have time to plant your asparagus crowns in MN. Please, plant crowns. 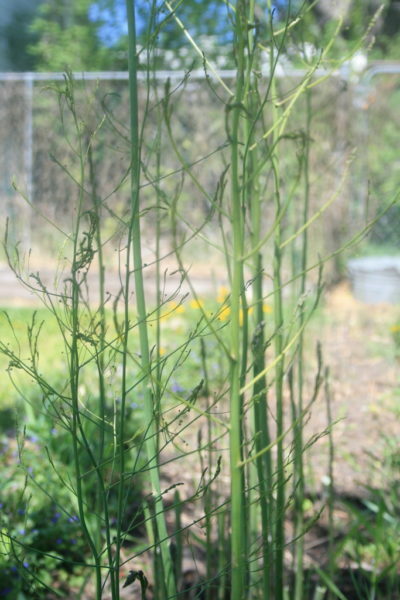 Don’t try to start asparagus from seed like I did. That is, if your goal is to harvest asparagus. On the other hand, if you want a fun activity for your kids, starting asparagus seeds is incredible. 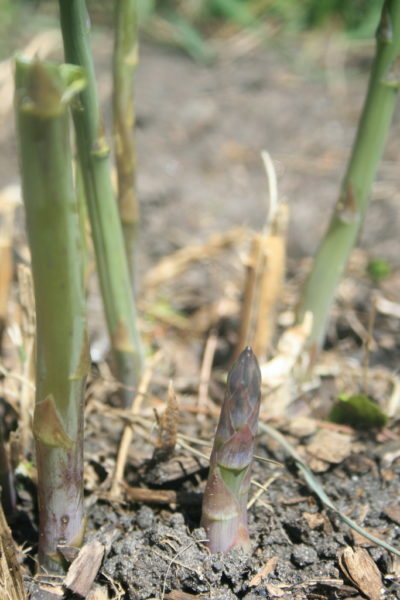 Your first emerging spear will be the tiniest little asparagus imaginable! Mother Earth Gardens has two locations in Minneapolis and is currently selling crowns of the Jersey Knight variety. The sooner the better to put these into the ground so they have a full season to get established before enduring winter. 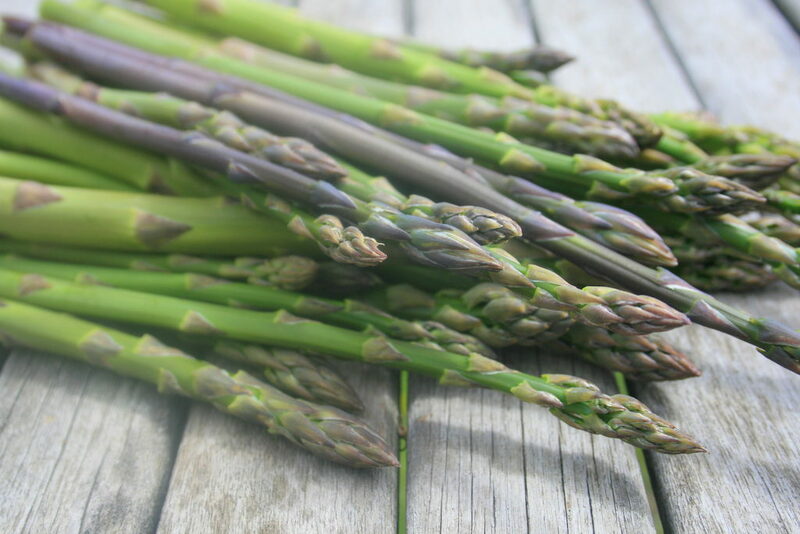 Once asparagus is established, it will reward you with years and years of production! You won’t harvest your first season, or possibly even the next while the plant grows stronger. When you let the spears emerge uncut, they will continue skyward and open up into a feathery hedge. It’s quite beautiful to have on the border of your yard! For detailed planting instructions, the U of M extension is often a good resource, and you can find many videos online if you need a visual guide. I’m always interested in having more perennials. What are your favorite perennials?